Who do the Mariners think they are . . . the Yankees? Yankees of the West? 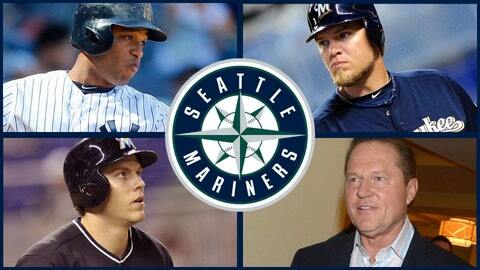 The Mariners certainly have sent shockwaves through the baseball world, loading up with, clockwise from bottom left, Logan Morrison, Robinson Cano and Corey Hart, much to the chagrin of others, including agent Scott Boras, bottom right. Anybody who thought the Seattle Mariners were going to be a one-hit wonder with their Robinson Cano signing best think again. Looks like they’re in it to win it — now. And people from all corners of baseball are taking notice. On the third day of baseball’s Winter Meetings in Orlando, Fla., the Mariners on Wednesday reached agreements to bring two more power bats to Seattle (adding protection for Cano), had sports’ most famous agent firing away thanks to their maneuvering, and for the second time this week had a GM of one the most valuable franchises in baseball on the defensive. He later went on to tell ESPN: "He had 240 million reasons to go to Seattle and if I were him, I would have done the same thing . . . I didn’t want to let Robbie go, but we gave it our best bullet with $175 million for seven [years]. Someone took him [from] us for a lot more." He had 240 million reasons to go to Seattle and if I were him, I would have done the same thing. Then came Wednesday, when the dollars and the conjecture really started flying. 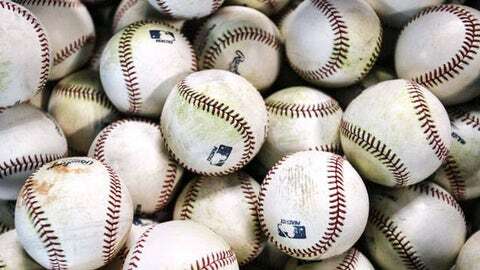 According to FOX MLB Insiders Ken Rosenthal and Jon Paul Morosi, as well as other media reports, Seattle wrapped up not one but two sluggers capable of playing first base / outfield / DH, and hitting 20-plus home runs. First, the team shipped right-hander Carter Capps to Miami for Logan Morrison, giving the Mariners a 26-year-old, left-handed hitter who hit a career-high 23 home runs in 2011 before injuries cost him games the last two seasons. And in a FOX Sports exclusive, Morrison wrote a first-hand account of what it is like as a major leaguer, to live through the trade rumors, your life in flux as you wait to find out if — or in Morrison’s case, when — you are being shipped off, and where you will resume your life. But apparently the Mariners want sock from the right side, too, as they also reportedly agreed to a one-year deal with free agent Corey Hart — a deal worth a reported $6 million that also has $7 million in incentives. In nine seasons in Milwaukee, Hart hit 154 home runs in 945 games, hitting 30 home runs twice, including last season. And while the Mariners continued to beef up the infield, they also remained in many reports the most likely trading partner with the Dodgers in a potential deal for center fielder Matt Kemp. So on Wednesday, Los Angeles general manager Ned Colletti apparently assured Dave Stewart, Kemp’s agent, that there are no plans to trade Kemp. The Yankees, meanwhile, suddenly were acting all conservative. Sources confirmed to Ken Rosenthal that New York turned down the Reds’ offer of star second baseman Brandon Phillips for outfielder Brett Gardner. And then came Scott Boras, the uber-agent who once represented Cano, only to lose him to rap mogul and newly minted sports agent Jay Z. Boras sounded off on a variety of topics at the Winter Meetings, and took some veiled shots at Jay Z and the way he acquired Cano.